If you follow me on Social Media, you would most likely know that I work as a stylist at Karen Millen swell as balancing my blogging duties and studying (hectic to say the least!) but I absolutely love it. I love styling and meeting new people whilst doing so - it's so great to be able to talk about fashion and offer my help and advice to those who would love to have it, its a great feeling! Especially, as I am so passionate about it! 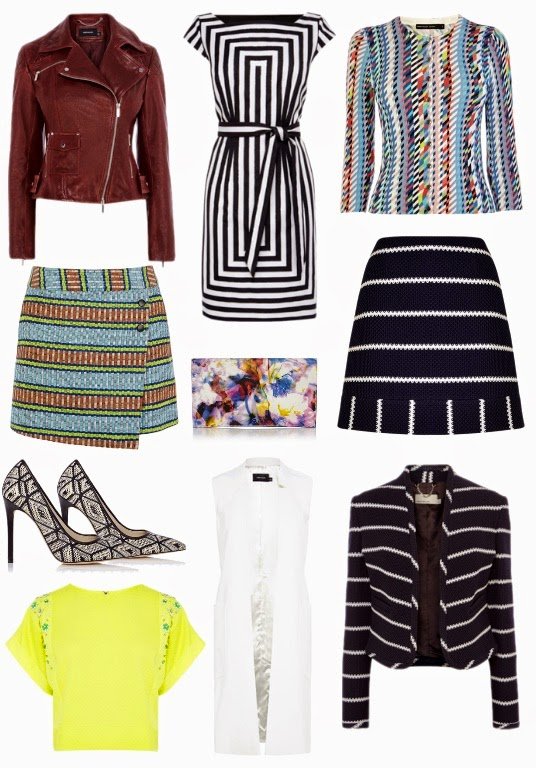 When I work in Karen Millen, I often look at the clothes and instantly just want to style them for you guys on my blog. It's an opportunity for me to show you guys that those brands that may be considered for the older woman, isn't the case at all! For the next few weeks, I am going to be doing these wish lists, which show you my favourite items from KM each week. Karen Millen is a brand that describes themselves as "Luxury Woman's Fashion" and are known to be a brand on the high end of the high street with excellent quality pieces. They are also known for taking great pride in the making of their pieces. It's a pleasure to work for a brand I am passionate about and which I love personally, outside of work. I am always in my element, loving what I am doing being able to cross over my knowledge of fashion into my working environment. Although I have been ill recently due to tonsillitis :( but I am back this weekend and I can't wait!